None of us are strangers to America’s favorite movie snack, popcorn. In fact, many of us can probably look back and find nostalgic memories where we found ourselves holding a bucket of this tasty treat as large as our torsos and rummaging around for heaping handfuls of buttery, salty heaven to sustain us throughout our 90 minute-long cinematic adventures. 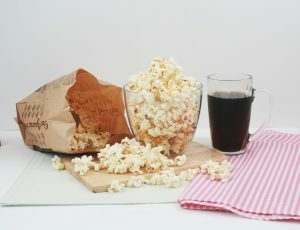 While there is speculation that some factors of the delicious family favorite could be potentially harmful, it is important to remember that much of what is mentioned in this article can be avoided through simple moderation, and there is no need to worry about the copious amounts you have already consumed or the bags of popcorn in your cupboard that are currently awaiting your attention. Microwaveable popcorn bags were introduced in the early 1980’s, and by the end of the 20th century they made up nearly 80% of the popcorn that we consume. While the corn used in the bags themselves is harmless, the handful of chemicals used to preserve and flavor the popcorn can be deleterious to the human body in large quantities. This can be due to a corn allergy itself or an allergy to the additives used in the microwaveable popcorn bags. 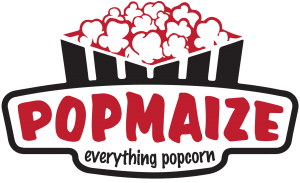 If an adult or child is experiencing an anaphylactic reaction, or even mild allergy symptoms, it would be wise to consult with a medical professional as soon as possible to determine the source of the allergy before assuming that it came from the corn itself since their is also a slight chance that the reaction could be due to the agents used in the microwaveable popcorn. Toddlers, since they have smaller esophagus’ and no molars to properly chew are at high risk of choking on popcorn. As such, it is wise to keep popcorn away from toddlers under the age of five years old. Those who have difficulty swallowing due to a stroke or those of an advanced age also pose a risk to choke on this tasty snack. In any case, if one is eating popcorn it may be wise to do so with a beverage in case one finds themselves in a battle with a single kernel, or perhaps in those more-often-than-not circumstances, a large handful of exploded maize. Many are well aware of the health risks related to a diet high in saturated fats. While saturated fats are not calamitous to one’s body in healthy portions, in high quantities they can increase the amount of LDL cholesterol in one’s blood and increase the probability of heart disease and/or stroke. It is quite common when preparing a delicious batch of popcorn to smother every single kernel with what seems like its own stick of butter, however, in excess this can become a hindrance to maintaining a healthy-looking and effectively-functioning body over time. While some may think that coconut oil is a healthier alternative, it is neither better nor worse than butter and still contains just as many, if not more, saturated fats than butter. So, whichever product one decides to lather their popcorn in, be sure to lather it in moderation, and most importantly: Enjoy every bit of it! Though we use sodium in many products as a preservative and a flavor enhancer, a diet high in sodium can be unhealthy and yield less than pleasant results such as high blood pressure, and can even contribute to heart disease and stroke. For popcorn lovers, this is a low blow considering that many of us love a little popcorn with our salt, but it is important to remember, just like much else, to consume this delicious flavor enhancer with moderation and awareness in order to maintain a healthy body. Perfluorooctanoic acid (PFOA) is used for non-stick cookware as well as the inside lining of microwaveable popcorn bags. When heated and consumed it can increase the chances of cancer and/or infertility. While research has yielded limited and indefinite results, lab tests have shown that PFOA can potentially remain in the human body for a long time and can affect a human’s chances of developing cancer, infertility, and can aso possibly affect prenatal development. PFOA is a substance that can be found in low levels in some foods, drinking waters and even household dust, but does not produce any harmful known effects. In areas where this compound is used in products such as Teflon, the area surrounding the factory will be higher in concentration with said compound and may yield more definitive reactions to the chemical. There haven’t been many in-depth studies performed on the substance, and as such, much remains unknown about this widely used compound. However, it does remain a questionable concern for those who indulge in the American favorite that is popcorn. A chemical called Diacetyl that is used to flavor microwaveable popcorn has been found to increase the likelihood of developing bronchiolitis obliterans, also dubbed ‘Popcorn Lung’, is a lung condition characterized by the scarring of small airways that may result in difficulty breathing, and is found to be a response to Diacetyl in the body. These harmful effects have been found to be more prevalent in those who work in the factories that produce this tasty treat and are exposed to the fumes in high quantities. Partially Hydrogenated Oils originally are liquid oils that, through the chemical process of hydrogenation, become solid, unhealthy trans fats. Hydrogenation is typically used to increase the shelf life of foods and maintain a stronger flavor profile. These fats were created in the 1950s as a rebuttal against saturated animal fats, which are known for clogging arteries and being a leading cause in heart disease, however, studies in the 1990s discovered that when liquid oil is turned into an oil, it acts like butter inside the body and can be particularly deleterious to one’s cardiovascular health. Trans fats are notorious for increasing LDL cholesterol, much like their nemesis, saturated fats, however, while saturated fats also increase HDL or ‘good cholesterol’, trans fats do not. Microwaveable popcorn can contain anywhere from up to .5 to 5 grams of trans fat per serving in the delicious buttery flavoring that many of us adore oh so much on our favorite movie snack. With a typical bag of popcorn containing two servings of 6.5 cups of popcorn, that means that potentially there are 65 grams of trans fats per bag of popcorn!! Now that’s a Pop Secret you wouldn’t get in theaters! This is an antioxidant additive that is used to increase the shelf life of many foods and also can protect foods with iron from discoloration. It is typically used in vegetable oils and animal fats when it comes to foods, but is also found in paints, varnishes and skin care products as well. A few studies have been conducted which have found that this seemingly harmless additive can increase the development of tumors in rats and have found that TBHQ can cause liver enlargement, neurotoxic effects, convulsions, and even paralysis in laboratory animals. While this additive is virtually harmless in small amounts, for those who eat diets high in fats, it could become a larger influence to one’s health problems. To lower the risk of succumbing to the potential dangers of this widely used additive, avoid eating processed foods with insanely long shelf lives often, eat fresh food, and if you do eat processed yum yums, read the labels and be aware of what you are putting in your beautiful body! Much like Butylated Hydroxyanisole (BHA) and TBHQ, Propyl Gallate is an additive used in oils and fats to improve the shelf life of processed foods. Studies regarding this additive are fickle and mixed in results and opinion, however, it is suspected that this chemical can indeed cause and influence the development of cancer. While it isn’t a very popular additive, if you wish to be without it, read the labels on the processed food you purchase! If you choose to indulge in microwaveable popcorn, allowing the popcorn to cool down before opening it will reduce the amount of ingested fumes that potentially carry harmful additives. If the presence of said additives makes you weary, then you can also practice more traditional and natural popcorn recipes and techniques that require more work, but more reward since you know exactly what you are putting into your body.